In the following article on compound interest growth and the different compound interest accounts available we are going to take a different approach than you will find anywhere else. In fact, if you are short on time, please jump to our section that talks about how using the best compound interest account that grows without taxation, can also be tapped into for other investments, while your principle and interest continue to grow, allowing you to truly use the velocity of money in your own life. It has been called the 8th wonder of the world; it has been used by savvy investors around the world to help grow and compound wealth. Yes, we are talking about the concept known as compound interest. This article answers the question of just what compound interest is and explores the various types of compound interest accounts available. By taking advantage of compound interest, you can position yourself to build up your savings over the long term as the magic of earning interest on interest helps expand your wealth and magnify your legacy. Simple interest: Interest earned on invested principal over multiple periods of time that does not take into account the interest earned in earlier periods. In other words, interest is only paid on principal, not on any interest earned on that principal. Compound interest: Interest earned on invested principal over multiple periods of time that does account for the interest earned on the principal in earlier periods. Interest is earned on interest plus principal when compound interest is used. It is this “compounding” of principal and interest that creates huge long-term accumulation. The use of a compound interest example is a good way to illustrate the concept of compound interest. Consider a bank customer who invests $10,000 in a bank account paying compound interest and one who invests the same amount in a bank account paying simple interest. If the account paying compound interest compounded annually, how much more would the account earning compound interest be worth than the one earning simple interest after 5 years? Time is the crucial element in making the most out of compound interest. The difference between an account earning compound interest and one that earns simple interest is generally not all that substantial over short time periods. However, over extended periods of time the difference between the two can be great indeed. In the example above, we saw that after 5 years, the difference between a simple interest and compound interest account earning 4% interest on $10,000 for 5 years was $167. Appreciated, certainly, but by no means life changing. Most people choose one million dollars. 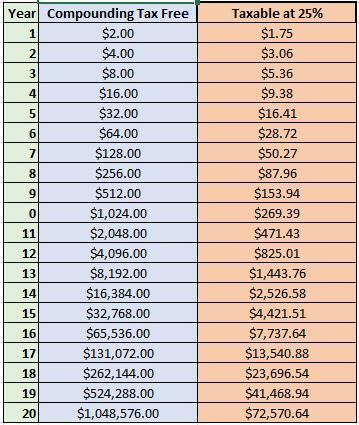 However, as you can see from the chart below, taking a penny doubled every day for 30 days is far and away the winner. $10,000 at 4% simple interest for 20 years would grow to $18,000. Over 30 years at the same rate your $10,000 would grow to $22,000. Over 20 years at 4% compound interest your $10,000 would grow to $21,911.23 ($3,911.23 greater than using simple interest). Over 30 years at the same rate it would grow to $32,433.98 ($10,433.98 greater than using simple interest, or 47% greater return with compound interest vs simple interest). The added time for the compounding to work enables your original investment to grow significantly more than would have been the case if you had received simple interest on the money. Given that even small amounts can provide substantial growth if they compound over a long enough period of time, it should be readily apparent from these examples that time is of the essence when it comes to maximizing the impact of compound interest on your savings. The flip-side of this is that if you fail to start saving early enough, it can be very difficult to make up for lost time due to the power of compounding. This is not to save that you shouldn’t set aside savings later in life, just that the earlier you start saving the better. By giving your savings as much time as possible to compound in value, you can maximize the money you are able to amass for your financial goals, whether paying a child’s education, purchasing a home, providing retirement income, etc. While an account earning compound interest grows faster over time than one that is paid simple interest, not all compound interest accounts are compounded on the same schedule. Some accounts are compounded yearly, some quarterly, some monthly, and some weekly or even daily. The shorter the compounding time, the more rapidly an account will grow. 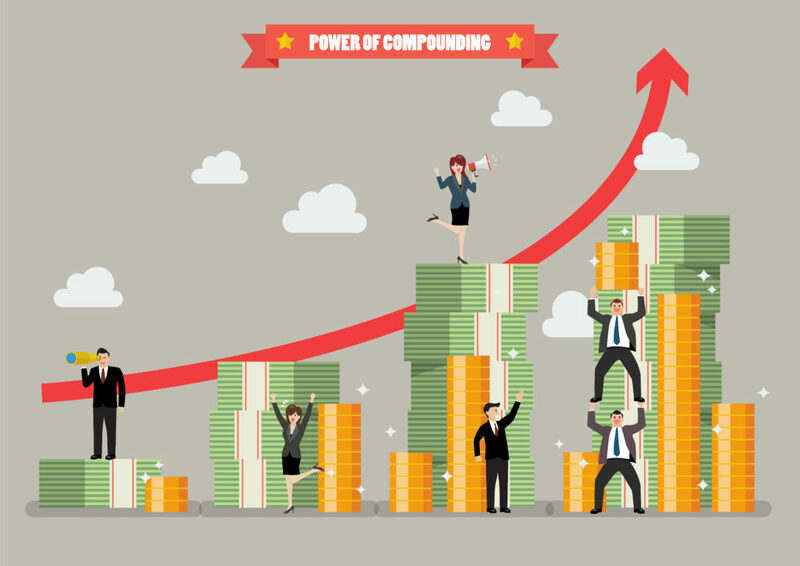 Thus, an account that has interest compounded monthly will grow faster than one compounded yearly, and an account featuring daily compounding will grow faster than one compounding monthly. The reason is the compound interest account is being credited interest each day, increasing the principle balance, which increases the effect of the interest credited. The balance “compounds” at a greater rate since interest is credited more often. To avoid consumer confusion regarding the actual interest rate they are receiving on an investment or being charged on a loan, the concept of an effective interest rate is used. Also known as an annual percentage rate, or APR, the effective interest rate tells you the actual interest rate you are receiving or being charged on an annual basis. This rate takes into account the frequency of compounding to determine the equivalent yearly rate. Using an APR enables you to compare different compound interest rate accounts on an apples-to-apples basis when it comes to evaluating the interest rate. A number of cash and cash equivalent accounts feature compound interest. Bank savings accounts, mutual fund and brokerage account money market accounts, and life insurance cash accounts typically accrue compound interest. Corporate and government bonds, on the other hand, often pay simple interest, although sometimes these products will have dividend reinvestment programs which enable compounding. Mutual funds, whether they invest in equities (stocks), or fixed-income (bonds), allow reinvestment of both dividends and capital gains if they are open-ended, enabling compounding. A distinction should be made between mutual funds, whether of the equity or fixed-income variety, and cash accounts. While mutual funds feature compounding, unlike cash accounts, any principal invested in these funds is at risk, whereas money held in cash accounts generally doesn’t place your principal at risk (the exception being those rare cases where a financial institution fails, although in such cases there is often some form of insurance covering cash account holders). The cash account in cash value life insurance, also known as permanent life insurance, such as whole life and universal life typically receives compound interest. After you’ve tended to your immediate liquidity needs by setting aside some cash for emergencies, placing money into dividend-paying whole life insurance can be a good way to build up cash savings. Specific cash value whole life policies typically feature paid-up additions riders, which allow you to add cash to the account if you like. Dividend-paying mutual life insurance companies cash value accounts have offered returns that have exceeded those offered by most other cash or cash equivalent accounts in recent years. With these cash value accounts growing in the range of 4% guaranteed, they have rewarded policyholders with highly competitive performance for policyholders. In addition, although not guaranteed, these mutual that offer participating policies have life insurance dividends, that are paid to policyholders income tax free. Dividends can increase your whole life policy return, with many top mutual offering dividends in excess of 6%. Interest earned on a cash value account accumulates tax-deferred. This tax-favored growth enables your money to grow faster than would be the case if it were subject to yearly taxes. You can withdraw earnings on your cash account free of taxation up to the amount of premiums you have paid into the policy, i.e. your basis. Withdrawals over your basis amount are subject to taxes. Here is a chart of one dollar doubling 20 times and that same dollar doubling 20 times but taxed annually at 25%. Life insurance is a highly effective method of transferring wealth. If your intention is to build up cash savings to protect your loved ones in case something happens to you, the death benefit protection offered by cash value life insurance will typically provide them with a greater amount than the cash value of your account. Death benefit proceeds are income tax free to the recipient beneficiary. Additionally, you can gift life insurance cash value to your account beneficiaries without the gifts being subject to income or gift taxes providing the cash stays in the policy. These gifts can take place during your lifetime. This contrasts with vehicles such as 401k plans or IRAs where taxes must generally be paid on funds passed down to your beneficiaries. Another advantage of cash value life insurance is that the funds can be withdrawn in the form of a partial withdrawal or you can borrow against your cash value through a policy loan. Unlike 401ks or IRAs where a penalty typically applies to most 401k withdrawals before age 59 1/2, there is no such restriction on cash value accounts. And there is no required minimum distribution (RMDs) down the road. This is the most important section of this article on compound interest growth because it describes how your money can grow in your savings account and how that same money can also be utilized for other investments — SIMULTANEOUSLY. Mutual life insurance companies offer participating policies that pay you a guaranteed rate of return, plus potential dividends. You can borrow money from your account and use it for whatever you choose, such as to finance your own purchases, buying cash flow assets, whatever you choose. Here is the magic. When you access the money in your cash account, you are actually taking out a life insurance loan by borrowing against the cash value in your policy. The cash value in your life insurance policy continues to grow, because it is still in there. It is still being credited with interest and potential dividends. 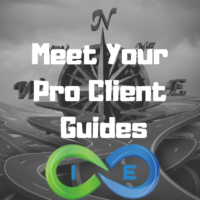 You now use your life insurance loan to purchase cash flow assets, such as real estate or other alternative investments like notes or bridge loans, what have you. Now you created cash flow and your life insurance policy cash value (and death benefit) continues to grow at the same time as your new investment. After you have set aside 6-9 months of emergency funds, consider placing your additional savings into cash value life insurance. Since the policy’s cash value grows tax deferred, your savings will experience true compound growth, at a rate much higher than your typical savings account at a bank.